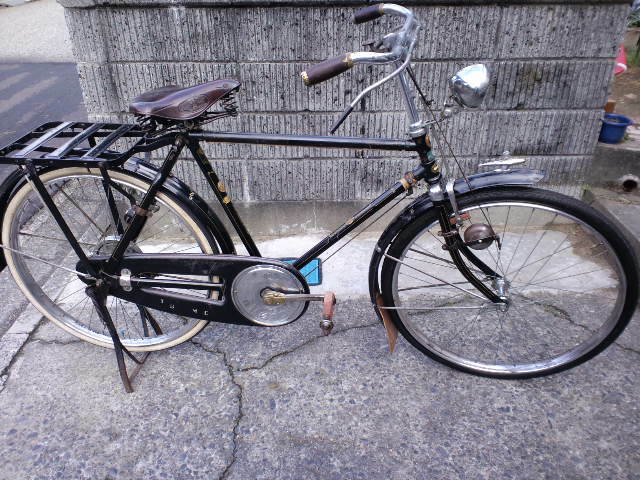 S-san from Niigata, who recently sent in photos of his Nozawa bicycle, also sent in photos of his Yamaguchi bicycle. This model is pronounced MARU WAI GO (マルワイ号） in Japanese. 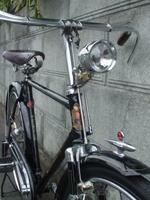 Yamaguchi Bicycle Company is one of the more well-known bicycle manufacturers of the 1950's. 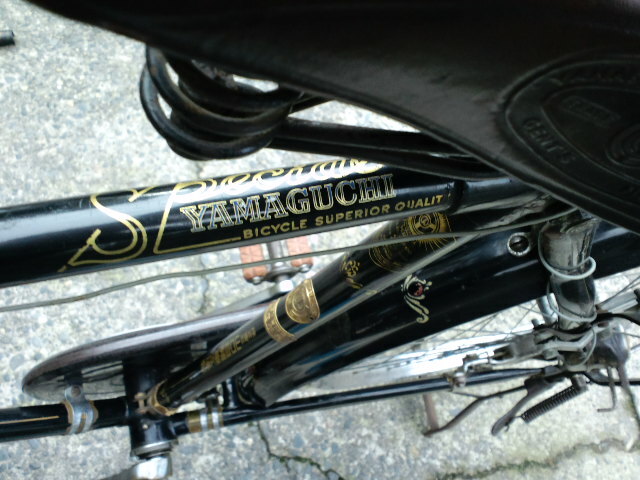 The history of Yamaguchi bicycles spanned nearly half a century from 1914 - 1963. The company produced motorcycles starting in 1953 until it went bankrupt and was absorbed by Marubeni Corporation and the brand renamed Marubeni-Yamaguchi in 1963. This particular model is likely from early 1950's. full fenders, mud flap, pin striping etc. Use of cloisonne in head badges. 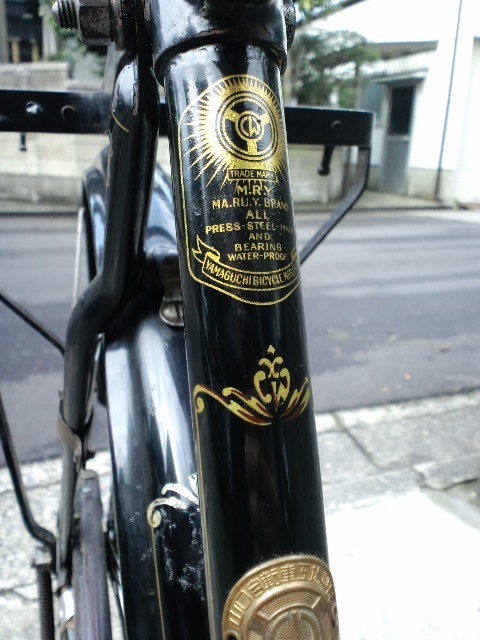 One clear sign that this bicycle is from the early to mid 1950's is the abundant use of ornate gold transfers. 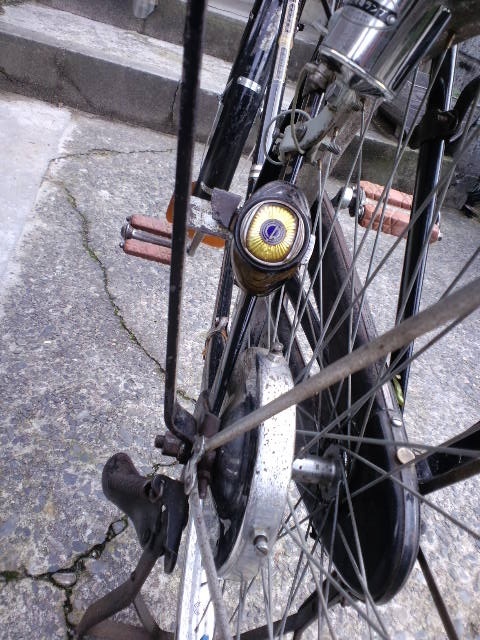 Upon closer examination, the use of old style KANJI in the transfers further supports that this bicycle is clearly from the early-mid 1950's. 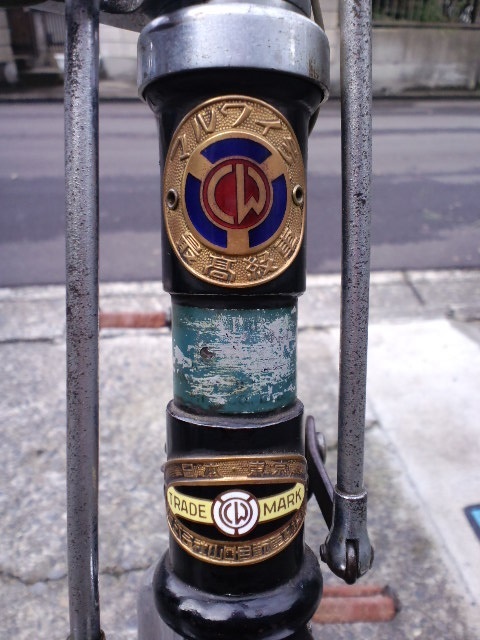 The abundant use of badges is also a solid indicator of early-mid 1950's bicycles, especially a badge halfway down the seat tube. At the top of the photo below we can see a heavy duty chrome plated generator. 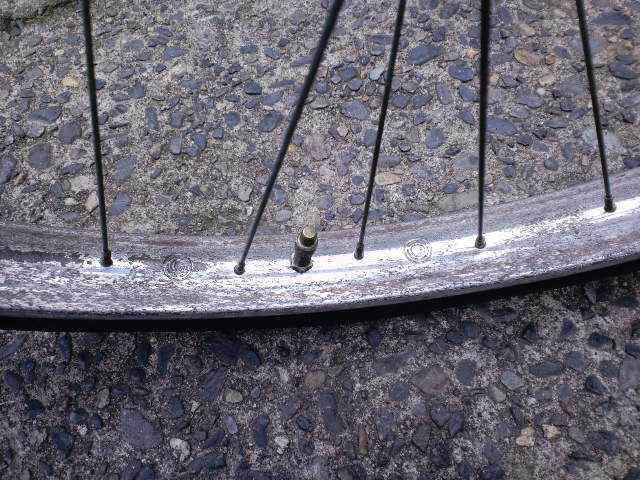 In the center of the photo is a large rear wheel lock complete with the CW logo. Also, note the color of the rubber blocks for the pedals, and, the oil filler cap on the rear of the chaincase. 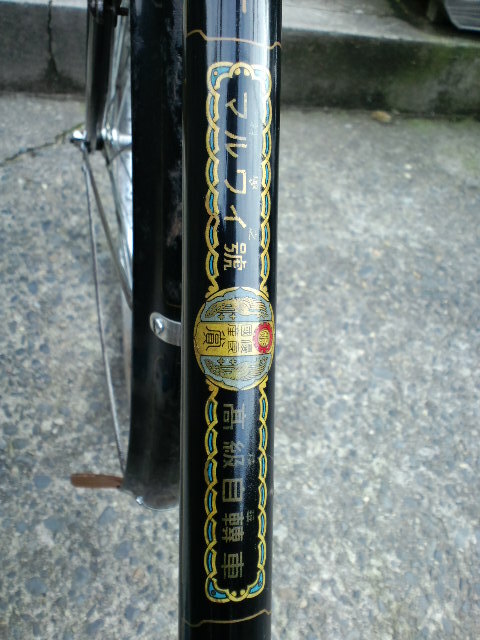 Ornate gold transfers on top tube. Hand painted gold pin striping. 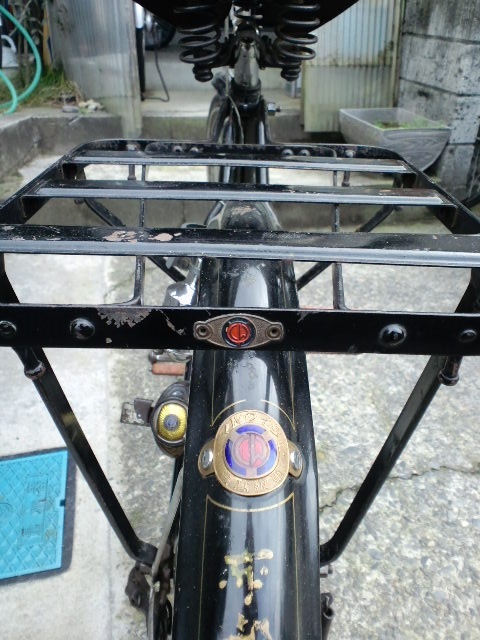 Rear fender stay badge with cloisonne. Click on the links below to jump to other photos of Yamaguchi bicycles. Thanks again goes out to "S-san" for sharing photos of his two wheeled buddy.